"THE TALK WAS VERY GOOD, I LIKE HOW HE DIDN'T SUGAR COAT IT AND TALKED OPENLY ABOUT MENTAL HEALTH. IT ISN'T TALKED ABOUT IN SCHOOLS BUT I THINK IT SHOULD BE BECAUSE PEOPLE JUST JOKE ABOUT IT AND I ADMIRE HIS STRENGTH TO TALK IN-FRONT OF PEOPLE TO MAKE A DIFFERENCE." As more research is done on mental health society is discovering that he stigma surrounding mental health issues is doing more damage than the actual medical issue itself. This is due to people not wanting to deal with the issue earlier for fear of it making them look weak. Resilience is an often discussed quality but also is very little understood, with many people not able to genuinely communicate their own lived experience of the subject in a personal and easy to understand way. 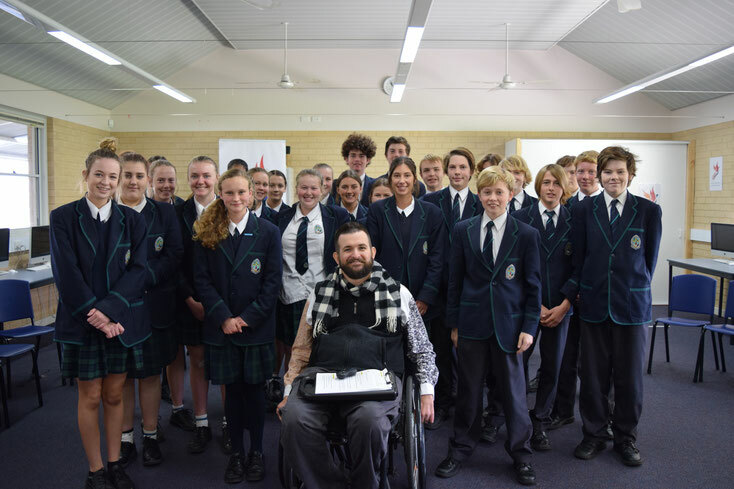 With a life story that has lows followed by amazing achievements whilst remaining humble and relatable I can engage with students in a way that makes a lasting impact and encourages them to look out for each other.